Structural drafting India is one of the leading carport steel detailing services provider company and we would like to introduce us to you as a pioneer of structural carport detailing drawings provider. We as a structural steel detailing firm, provides the best output with the lowest cost in all structural carport construction segments throughout the world. Our steel detailers having extensive experienced in executing worldwide carport steel detailing drawings projects. We have earned an excellent reputation for our outstanding customer service and superior quality carport steel detailing drawings. A carport is a structure that can be used to store and protect vehicles from vagaries of nature like snow, sun, rain, hail and even air. 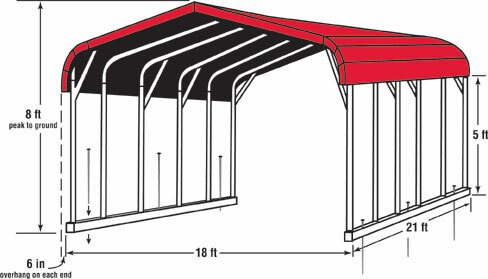 A carport is an accessory structure or portion of a main building with two or more open side designated for the parking of motor vehicles. Enclosed storage facilities may be provided as part of a carport. Some carport plans allow for only one vehicle, while others are large enough to park multiple cars inside. The height of this structure can also vary based upon the type of equipment being stored. Our in-house steel detailer team has enabled us to create standard carport steel detailing drawings as well as almost any wind load, snow load, and soil condition. Our engineering experience with the structures and our deep understanding of photovoltaic design and optimization will be a significant value-add and cost savings on any job. Our carport steel detailing drawings are insuring compliance to your local building code and standards. Safety factors ware used in the drawings of the various members making us a carport steel detailing structure. Feel free to Contact us or send email:info@structuraldraftingindia.com for a quote of any of your carport steel detailing projects needs.